Arm Britain: Our new logo. 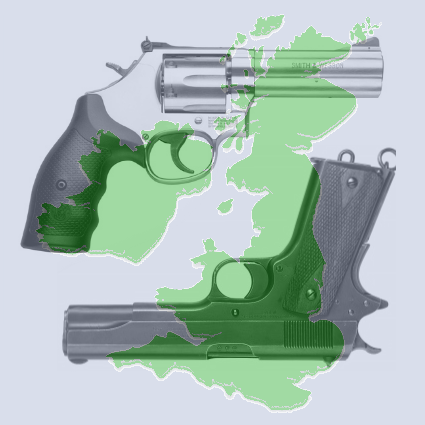 I think you should have something a bit more friendly and less detailed, maybe just a silhouette of a woman holding a gun in a non threatening manner next to England. Only 8 votes for your petition, nice try AMERICANS. We're not Americans. Now bugger off, troll. Apologies for posting on a random thread, but i can't find another way to write a message to your group. Techno dunce! Anyway - I'm an independent UK based documentary filmmaker hunting for interesting stories, and I find your group interesting.